Hi friends! It’s been a while since I shared our latest favorite baby products. We’ve been traveling a lot lately and there’s been several items I am certain to take with us – basically everything mentioned below! HoMedics SoundSpa Portable Sound Machine – this is helpful to block out background noise and keeps a consistent sleep environment for Carter. 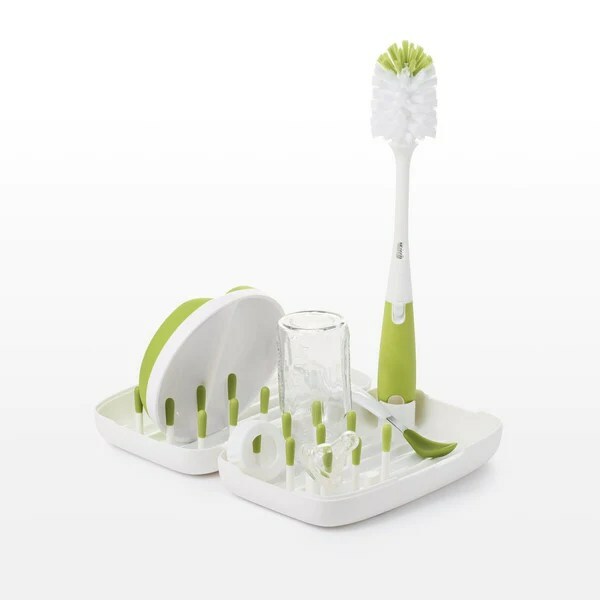 OXO Tot On-the-Go Travel Drying Rack with Bottle Brush – this is the coolest set! I wish I had bought it early on when I was traveling a lot with Carter while nursing to help keep all the pump parts clean but we still have used it a lot with washing/drying his bottles now. There’s even room to store a pairing knife and baby fork/spoon in between the pegs that come in handy for meal prep on the go! 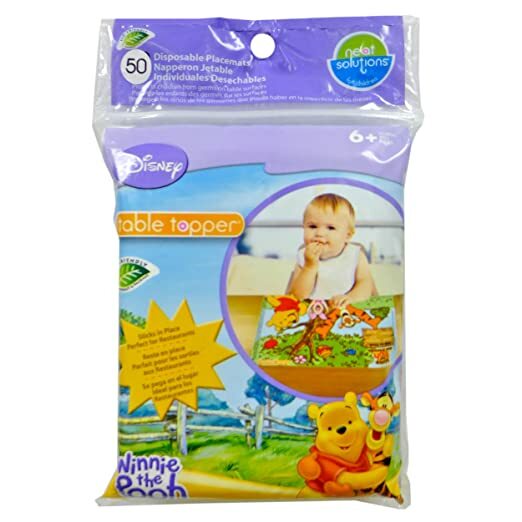 Table Topper Disposable Stick-In Place Placemats – I have a love/hate relationship with these. I love the idea so that Carter isn’t eating food off the table when we are out but they don’t stick very well – he can easily pull up the placemats. 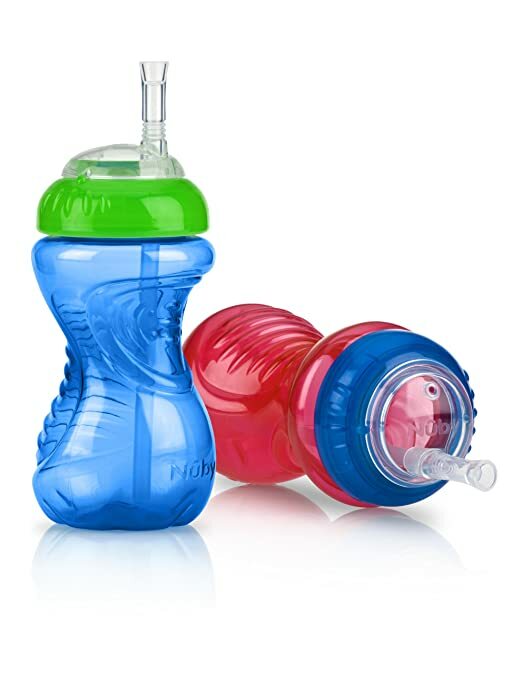 Nuby No-Spill Cup with Flex Straw (10 ounces) – this is probably one of my favorite sippy cups so far. 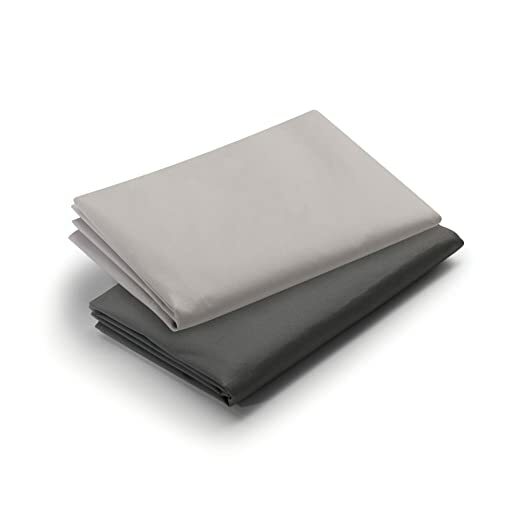 They seem pretty durable to all the throws they encounter and they don’t leak when dropped/thrown on the ground. (Update – before I could publish this, Carter dropped his cup on concrete and the corner busted out. However, it has held up throughout various other throws and drops!) The narrow part in the middle of the cup makes it easy for little hands to hold. I also like the longer straw – I’ve found a lot of the toddler cups with straws have a little nubby straw vs the long one on this cup. 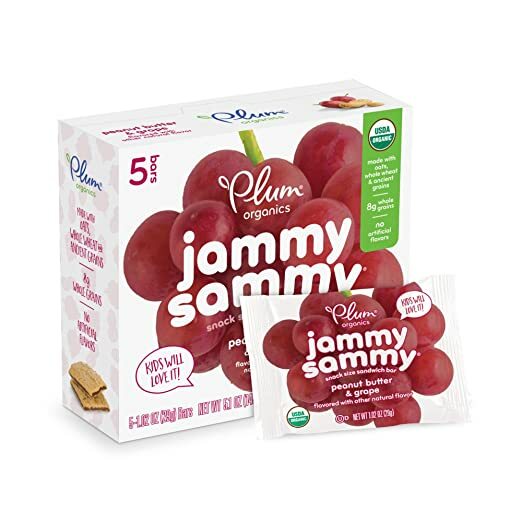 Plum Organics Jammy Sammy – Carter loves snacks! He likes all flavors of the jammy sammy little snack sandwiches and they are easy to take along with us. Babies-R-Us has the best variety – I have trouble finding these at regular grocery stores. 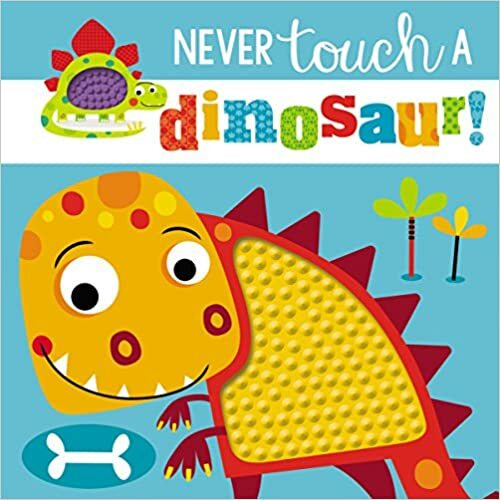 Never Touch a Dinosaur Board Book (touch and feel) – Carter LOVES this book. There for a while, it was always the book he would bring us from his book shelf. 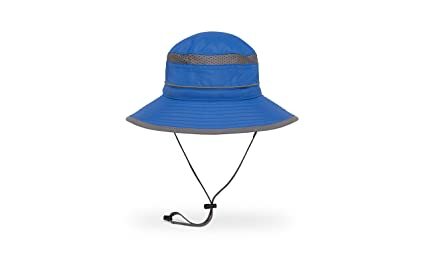 Sunday Afternoons Kid Fun Bucket Hat – we’ve had a few different sun hats and Carter wouldn’t keep any of them on. My sister-in-law recommended this brand and for the most part, Carter will leave it on. He’s even gotten to the point where he knows if he’s going outside he needs a hat and will reach up to his head to check for it or he will bring it to us! Summer Infant Pop ‘N Play Deluxe Ultimate Playard – this is another item I wish we would have had sooner but hopefully we will get use from it in the future either with our own kids or visiting friends/family with theirs. It has a padded base and collapses easy. 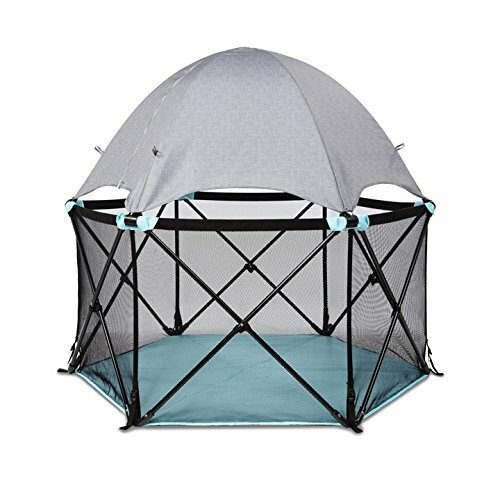 The tent is easy to put on or you can leave it off if you’re in the shade. 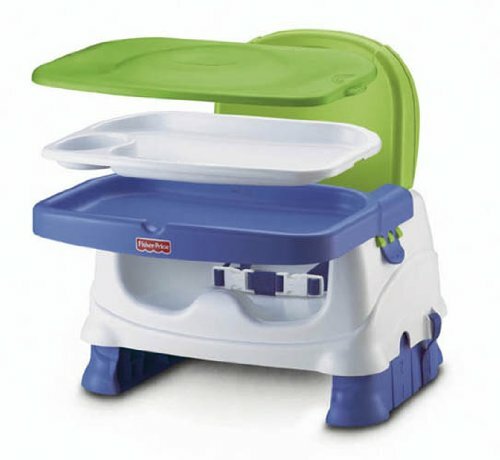 Fisher-Price Booster Seat – for the last few months, Carter has not wanted to sit in the highchair. He wants to sit at the big table with mom and dad. We already had this chair from visiting when nephews come to visit, so we tried it out for him and it was an instant hit. For a more portable option, I would recommend this one by OXO. It doesn’t have a strap so it wouldn’t work for the real little ones but we have used for Carter at my in-laws and he did fine with it (~20 month old). Pack-n-Play Sheets – where were these the first 15 months of Carter’s life?! For all the trips that we used the Pack-n-Play, I would just use baby blankets as a base for him to sleep on but they always got wadded up in no time. These sheets have been the perfect solution. I actually use both of them at the same time and put a soft baby blanket in the middle for some additional padding for him since there’s not much of a pad in the Pack-n-play. I think that pretty much sums up the main items that we can’t leave home without! I plan to do a Christmas round up soon and highlight the toys that have become quick favorites over the last 6 weeks with our 21-month old. Thanks for stopping by!